The Municipality of North Grenville is pleased to announce that Mr. John Okum has accepted the Director of Emergency & Protective Services/Fire Chief position with the North Grenville Fire Service. Mr. Okum brings over 28 years of fire service experience to North Grenville. 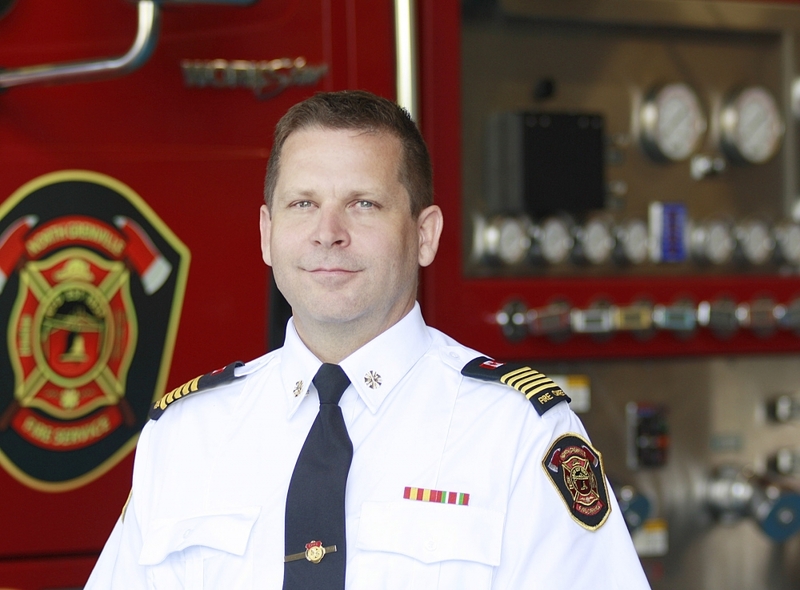 He began his career in the Town of Arnprior as a volunteer firefighter in the late 1980s and advanced through the chain of command, eventually being appointed as Fire Chief in 2010. “I am extremely pleased to welcome John to the Municipality of North Grenville as our newest Department Director. His many years of experience and knowledge in the areas of emergency and protective services and fire services in a growing eastern Ontario community will prove invaluable to our organization”, said CAO Brian Carré. During his time in the fire service, Mr. Okum has also served as Fire Prevention/Community Safety Officer, Community Emergency Management Coordinator and instructor in the pre-service firefighter program at Algonquin College among other roles. He holds college diplomas in Business, Fire Prevention and Fire Officer as well as National Fire Protection Association (NFPA) certification in various disciplines. He is a certified Fire Prevention Officer and a certified Fire and Explosion Investigator. Through the Ontario Municipal Management Institute, he has also achieved Certified Municipal Manager Level III with certifications as a Fire Service Executive, Fire Suppression Professional and Fire Prevention Professional. “In my role as Mayor and Chair of Emergency and Protectives Services, I and my Council colleagues look forward to working with Chief Okum. He will be a tremendous asset to our community” said Mayor David Gordon. Chief Okum’s first day with the Municipality will be June 12th at which time he will also be appointed as an Officer of the Corporation in the capacity as Fire Chief.